Wismar in Mecklenburg-Western Pomerania. At first glance it looks very tranquil here in the historic hanseatic city halfway between Lübeck and Rostock. Tourists and locals wander at a leisurely pace through Wismar’s old town, listed as a world heritage site, and enjoy the flair of the historic marketplace lined with imposing brick buildings and traditional gabled houses. It’s hard to believe that just a stone’s throw away to the north lies one of Europe’s largest and most advanced wood processing centres. In the Wismar bay in the Baltic Sea, there is non-stop hustle and bustle. And this primarily due to a company which since it was founded in 1999 has grown to become the region’s biggest employer: Egger Holzwerkstoffe Wismar GmbH and Co. KG. It is part of the global Egger Group. 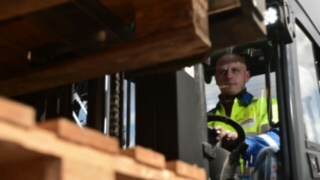 Founded by Fritz Egger in St. Johann in Tirol back in 1961, today the family company is one of the world’s leading wood processors with 17 sites in 7 European countries – from France to Russia, and from the UK to Turkey. 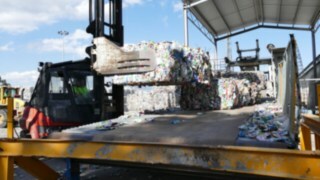 But back to the Baltic Sea and Egger in Wismar: The journey from raw material to finished product takes no longer than eight hours thanks to cutting-edge production lines – starting with debarking and shredding, followed by the pressing of the wood chips at 150 bar pressure, and then cutting and packaging. “The location close to the harbour is ideal for us,” says Production and Dispatch Logistics Manager Jan Menninghaus, casting his eyes over the extensive area. “From here we ship our products to customers in over 90 countries. The material for these products comes entirely from sustainable forestry management and we source the majority of it within this region, from less than 200 kilometres away,” adds Menninghaus. 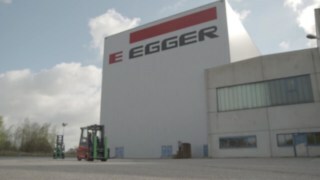 The natural raw materials are delivered by 85 trucks which pass through the gates of the Egger plant in Wismar everyday. Great overview, superbly comfortable seat and hardly any operating noise. They are very easy to work with. 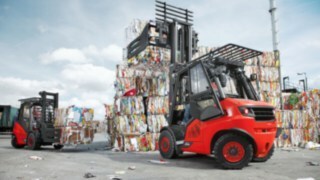 Another feature that impressed Egger’s logistics professionals was the Linde Safety Pilot. 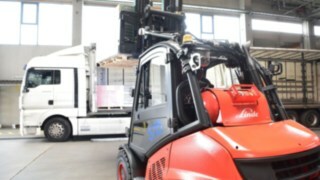 “The assistance system was installed on board our test product; it impressed us so much right at the start that we immediately ordered it for all new Linde forklift trucks”, explains logistics manager Jan Menninghaus. “Ultimately, even minor oversights when loading our wooden boards and laminate flooring can lead to critical situations. 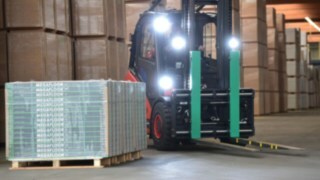 And because we produce the HDF boards in various thicknesses, the weight of the Europallets also differs significantly.” Until now Egger operators have had to gage the load centre and load weight, and often decide on instinct what else the forklift truck can transport, and what height it can lift it to. “Essentially they were faced with an equation with three unknowns – for every journey”, says Menninghaus. “There was also a residual risk, even if you had years of experience,” confirms operator Marco Bandow. 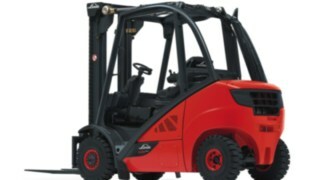 The Linde Safety Pilot is now providing assistance at Egger. The system provides operators with all the information required to transport the load safely. 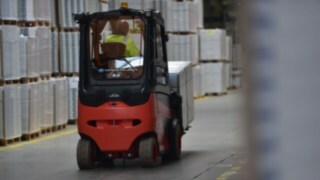 “I can rely on the Safety Pilot whenever I use my forklift truck to take a pallet from the racking and transport it to the relevant loading point. It shows me the angle of inclination, the current weight on the fork, and the current and maximum lifting height,” Marco Bandow reports from his day-to-day work. 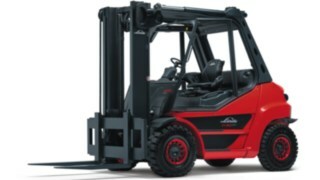 Thanks to the load capacity display, even storing and retrieving goods at great heights is no problem. 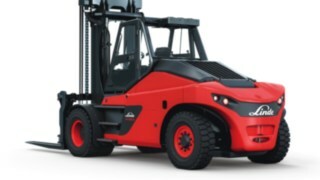 If the situation becomes critical, the Linde Safety Pilot automatically limits the equipment. 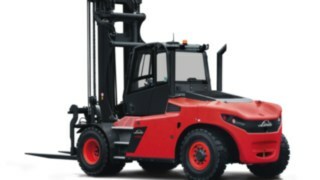 This means that the operator can no longer lift the load, but can only lower it and drive at walking speed. 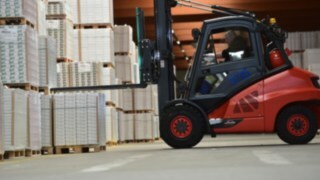 In this way the Linde solution not only increases the safety of employees, but also reliably protects the products from damage. 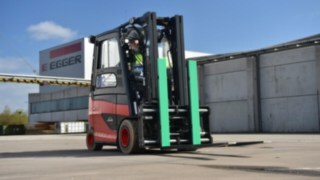 The importance of work safety at Egger in Wismar is not just evident in technical aspects: The company also relies on its own safety officers and they provide regular training to forklift truck operators on work safety matters. 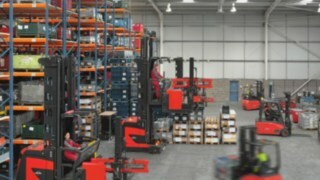 Better safe than sorry – this also applies to the issue of service at Egger. “If there’s a problem experts from our contractual partner FSN Fördertechnik are on our doorstep right away,” reports the Production and Dispatch Logistics Manager. 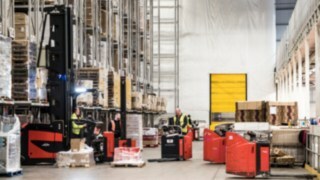 To ensure that the logistics process is not disrupted even during servicing or in the event of a breakdown FSN can send a technician to the Wismar Egger branch the same day. “This regional presence was a crucial factor in our decision in favour of Linde. 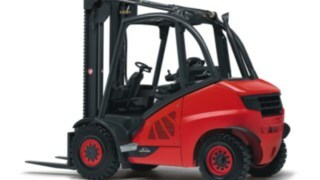 The fact that we gained an additional ‘safety specialist’ in the shape of the Linde Safety Pilot pleases us even more”, adds Menninghaus, grinning. Founded in 1961, the Egger Group today ranks among the leading companies in the field of wood-based material production. 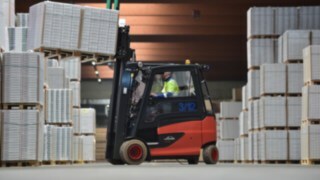 At the Wismar site, around 800 employees have been manufacturing MDF and HDF boards as well as OSB boards and laminate flooring since 1999. 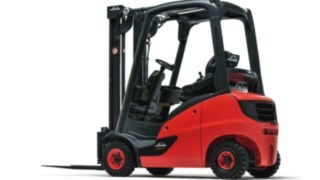 The forklift truck fleet on site comprises, among other things, four Linde E 35 HL electric forklift trucks and one Linde H 50 diesel forklift truck.